We refurbish Ludwigsburg Favorite Palace for our visitors. Therefore Ludwigsburg Favorite Palace is closed from January to December 2019. Thank you very much for your understanding. 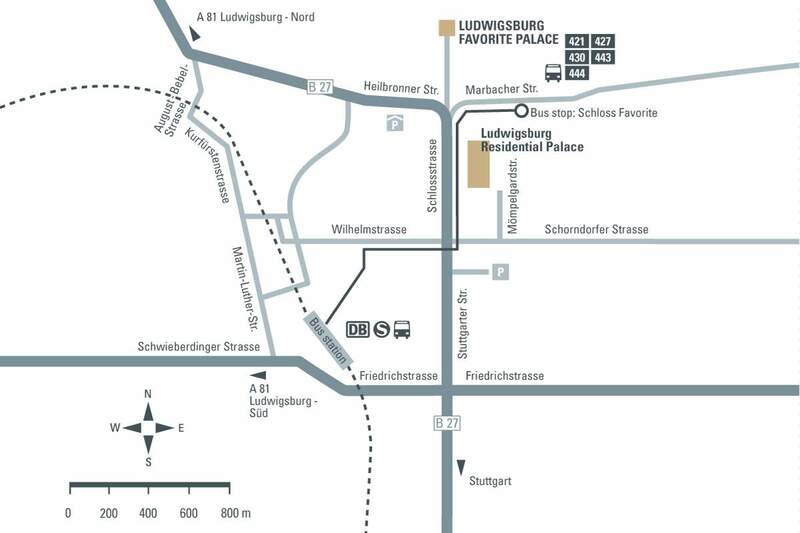 By public transport: from Ludwigsburg bus station take lines 421, 427, 443 or 444 to the stop Schloss Favorite. By sending your data, you declare your consent that we may process it to the extent specified in our data privacy notice for the purpose of processing your request and contact you via the same communication channel. In addition, we process the data on the basis of legitimate interest. We will delete the data when your request is finally and discernibly settled, your consent is revoked, or you effectively object to the further processing of your data by us. You can find further information in our data privacy notice.